If you click on the link above about the 33 days of cycling you will see in the calendar that Frocks on Bikes has an event on the 21st Feb at 5.30 at the cinema. To get your tickets fill out the details on the web page. I understand that is the only way to get your tickets. Please note that Frocks on Bikes is not only for women. Men can come as well and some have been attending past events. We will need to do a news article explaining about Frocks on Bikes sometime. I am not sure whether I can attend or not so if you go, have a good time. Any problems please contact me. The end of February sees the end of the 33 days of Cycling. Our next trip (apart from biking to the cinema on the 21st of this month), is on the 17th March at 3pm, meeting at the Kairanga School, which is on the corner of Kairanga Bunnythorpe Rd and Longburn Rongotea Rd. 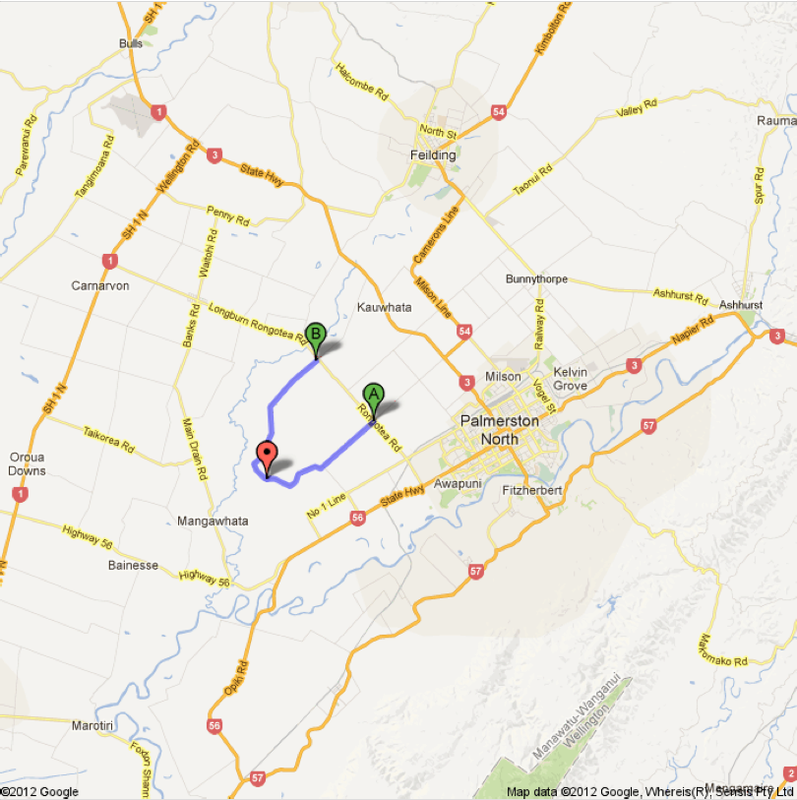 We will bike the Lockwood Loop and keep off the Rongotea Rd which is not good/safe for biking. We will bike for a time along the Lockwood Loop and then turn back. Hope to see you sometime at these events. Thanks to those people who made it at the Esplanade for the last ride. We came up with several ideas for events and we can look forward to them in the coming months. Our next get together will be on the 30th September at 2pm, starting from the Esplanade Cafe and we’ll bike along the Bridal track east towards the Manawatu Golf course and beyond. We’ll bike in total for about an hour, coming back to the Esplanade for afternoon tea. If it’s wet we can meet at the Esplanade cafe anyway and discuss future events. Have you met the Palmerston North flock yet? It’s headed by the amazing Kate and Polly. We’re a bit late adding them to the site, but you can read all about them here.